The most explosive event of the year in the world of advertising took place in Kyiv – the 38th “Night of the AdEaters”. This year, the show’s theme was Magic of Cinema Advertising, and New Products Group was the partner of the event. “The Night of the AdEaters is a unique show that allows you to see advertising as a work of art. This event is truly special not only for professionals in the field of advertising, marketing or film, but for anyone who wants to be aware of new trends. Yes, the modern world cannot exist without advertising, but we can lift advertising up to the level of true art. Our company has been professing this principle for a long time and strictly adheres to it. Of course, we could not stand aside and ignore such a landmark event as “The Night of the AdEaters,” says Elena Selutina, PR Director of New Products Group. 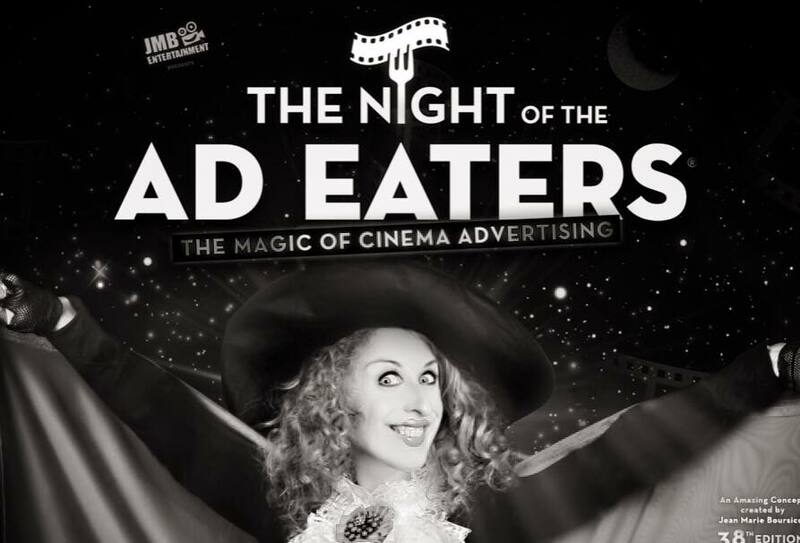 The Night of the Ad Eaters was founded in 1981 by the outstanding French collector Jean-Marie Bursicot, owner of the world’s largest advertising collection. His collection includes more than a million of the most impressive ads from around the world – from time of the Lumiere brothers to modern computer graphics. Every year 10 to 20 thousand ads are added to his collection, which now occupies an entire castle in Switzerland. The program changes every year and is shown around the world. In Ukraine, “The Night of the AdEaters” has been held since 1998, and has traditionally concluded the Ukrainian Creative Week. This time, the Kyiv public had the opportunity to see around 300 commercials overnight — the best ads collected from around the world. New Products Group made sure that the audience could “consume” the entire night without being distracted by hunger, thirst and a natural desire to take a nap. Delicious and nutritious Eat Me™ nut-and-fruit bars, which consist exclusively of natural ingredients and are approved as a healthy snack by the Ukrainian Association of Nutritionists, became the treat of the evening. The drink of the show – the nonalcoholic energy drink NON STOP™, which contains caffeine, taurine and a vitamin complex and is designed to enhance creative energy and intelligence to the max at any time of the day, helped the audience feel invigorated and ready to enjoy the masterpieces of advertising.